Free Shipping Included! Save 1% on the Boxes Fast BFSPBF12 Foot Operated Impulse Sealer by Boxes Fast at In The National Interest. MPN: BFSPBF12. Hurry! Limited time offer. Offer valid only while supplies last. 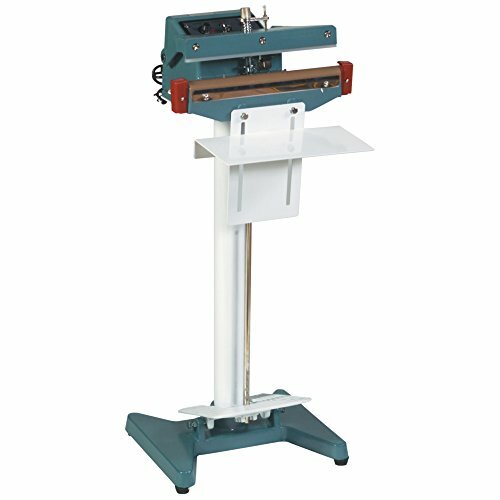 12'' Foot Operated Impulse Sealer. Foot Operated Impulse Sealers are designed for high volume users. Variable timer controls add sealing flexibility. 12" Foot Operated Impulse Sealer. Foot Operated Impulse Sealers are designed for high volume users. Variable timer controls add sealing flexibility. Foot Operated Impulse Sealers use standard 110 volt power. For use with polyethylene, polypropylene and metallic bags. Service Kit SPBF12KIT SPBF12KIT (sold separately) contains 2 heating elements and 2 PTFE glass cloth tape strips.